Medellín is a city that has undergone profound change from the most dangerous in the world to one of the jewels of South America. 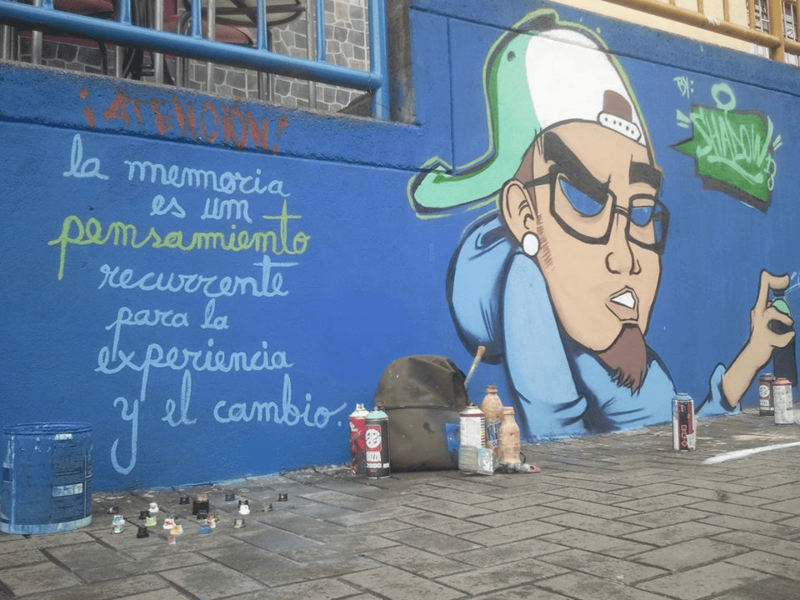 In an effort to showcase that change in an authentic, exclusive, and phenomenal way, True Colombia Travel has partnered with the youth collective KGP (Klan Ghetto Popular) to form TRUE GRAFFITI, an artistic experience of community change in the north of the city. Below we highlight the lives and profiles of the members of KGP: Medellin is a city with stories. Poetry is my channel to tell these stories. My name is Jeffrey Botero Cardona and I was born on October 25, 1992. I live in the city of Medellin, and I have been the guarantor and the spokesman for some of the community projects in the northeast region of Medellin, projects like: ArteCaminante , Circografiando, Mesa de la Juventud Comuna Uno and KGP (Klan Ghetoo Popular). I currently participate as part of the local art and cultural youth collective KGP (Klan Ghetto Popular), telling the story of and guiding people through each community using poetry: “in which we all guide ourselves, and; we are guides here to abstract a memory, a history; that common indirect factor is shared in the form of social problems or human alternatives in which a group of people with their popular and empirical arts are united in favor of the appropriation of territory (their bodies) by means of the participation and the intimate action of each person in the construction of a community where the people feel actualized and assist in workshops or meet to remind each other about their actual live experiences, images that live through words, sounds, gestures, movements, etc. We can represent and claim a space with that which we feel and think about the place in which we live and co-habitate in good faith. Currently, I am a student of production and multimedia at the University of San Buenaventura. I have participated in the 4th Alternative Festival of Poetry in Medellin and I’ve also written for other alternative sites like Cosmogonía magazine in it’s 8th edition.